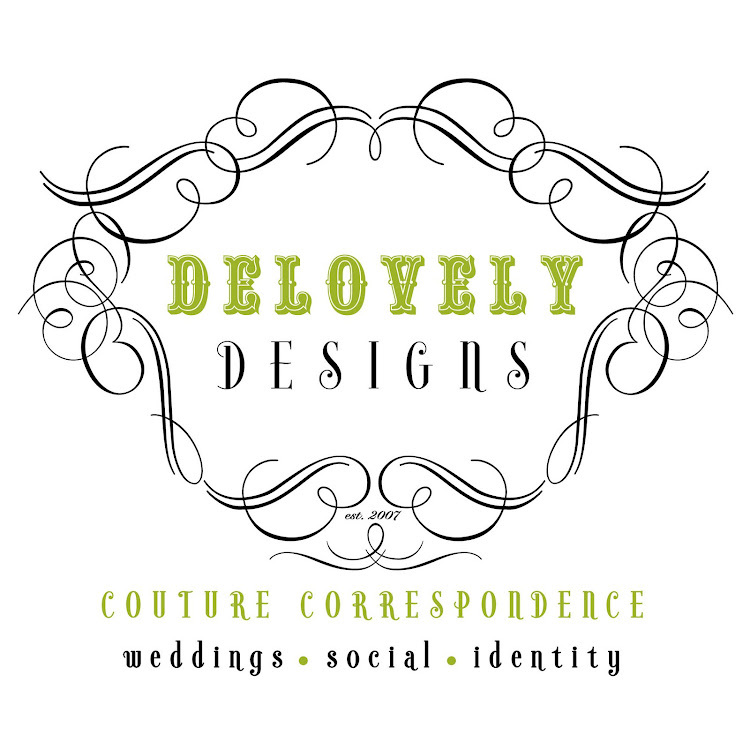 A few months back, Jennifer contacted me to create some monogram designs for her upcoming wedding. I haven't shared the designs here as of yet, however, I am currently beginning the design process of creating a custom wedding invitation design for her and her fiance, Adam, and she actually emailed me something last night that I could not wait to share here! Jennifer has had a custom label made to have sewn inside of her wedding gown and this very special accent showcases one of my favorite designs that I created for her! Here is a little history first regarding the very unique and special designs that I created for Jennifer and Adam. 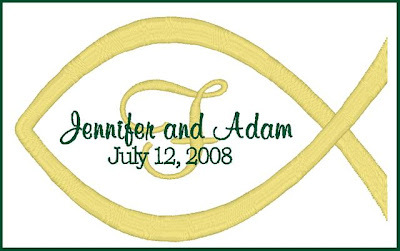 Jennifer and Adam are both very strong Christians and from the first couple of times that Jennifer and I corresponded she had mentioned that she wanted to include a symbol of their strong Christian faith within their monogram designs. I thought it was a wonderful idea and I was actually quite excited about designing something so personal for them. Well, the couple also happens to be very avid outdoor lovers and absolutely love fishing as a hobby as well, so with those two things in mind they wanted for me to create some special designs for them that would reflect both their Christian faith as well as their love for fishing. In the end we decided to use a collection of motifs including the Christian fish symbol as well as interesting fishing pole graphics for a truly unique look. Here is the lovely custom embroidered label that Jennifer will have sewn into her wedding gown. I just love it!